National Night Out at Bon Air Park from 5 till 7 p.m. Hot dogs and sides were served with Kokomo Police Officers in attendence. 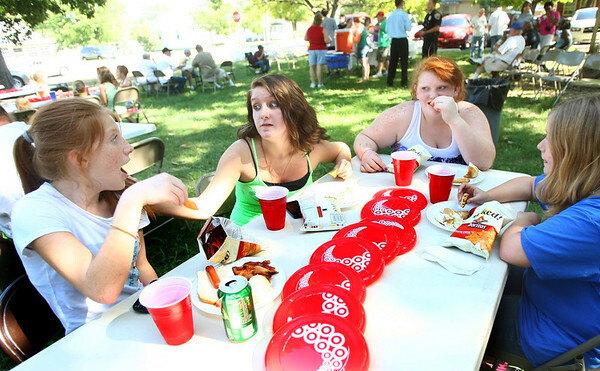 Sarah Kimbell, 15, Stephanie Crabtree, 16, Alysha Eilers, 14, and Emily Crabtree, 14, joking around while they eat.